The National Center for Outdoor & Adventure Education (NCOAE) offers [in conjunction with the Wilderness Medicine Training Center (WMTC)], concise wilderness first-aid training for seasonal outdoor educators and for individuals wanting to tailor their level of preparedness for recreational excursions. Wilderness First Aid is a three-day introduction to basic wilderness medicine, including basic life support skills and an introduction to general medical concepts. This course is a good fit for individuals who spend short amounts of time in the outdoors who want to increase their level of readiness in wilderness first-aid. Course topics include: Anaphylaxis; Backcountry Medicine; Patient Assessment System; Circulatory System; Hypothermia; Heat Illness; Nervous System; Respiratory System; Fractures; Stable and Unstable Extremity Injuries; Near Drowning; Lightning Injuries; Wounds and Burns. The majority of participants for this course are seasonal outdoor instructors and individuals who organize personal wilderness excursions. Note: The below itinerary provides a broad overview of what you might expect to see in this training and is subject to change. Day 1: Welcome; complete course paperwork. Topics covered today include: General concepts in patient care; body defenses; introduction to Trauma; assessment and treatment of traumatic critical system and extremity problems; basic life support. Homework: case studies. Day 2: Topics and activities covered include: Assessing medical problems; 3rd triangle skills lab and SOAP evaluation process; traumatic simulation; basic extremities splinting lab; wound cleaning lab; spine assessment; Homework: case studies. Day 3: Topics and activities covered include: Dehydration; sun exposure; heat exhaustion; heat stroke; Hyponatremia; Hypothermia; near drowning; allergies; injection lab; training debrief and close. What makes your Standard Wilderness First Aid (WFA) course so special? 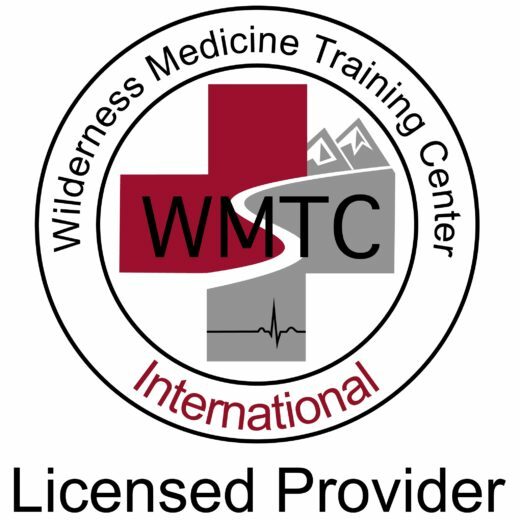 The Standard Wilderness First Aid (WFA) course is taught by experienced Wilderness Medicine Training Center (WMTC) instructors and is designed to provide outdoor education trip leaders and wilderness guides with an understanding of basic wilderness medical concepts. It exceeds the Wilderness First Aid Scope of Practice requirements endorsed by the Wilderness Medical Society and is recognized by the American Camp Association (ACA) and the Boy Scouts of America (BSA). This course is ideal for those seeking a career in outdoor education or wilderness instruction or those looking for employment as wilderness guides. What is different between your Standard and “Hybrid” Wilderness First Aid courses? The Standard Wilderness First Aid (WFA) course is a three (3) day course in which you do all of your reading, study, and practical skills training at our main campus in Wilmington, NC. With the “Hybrid” Wilderness First Aid (WFA) course, you do most of your reading and study online and spend only two (2) days at our main campus developing practical skills. In addition, the Standard WFA course includes an ‘optional’ W+CPR training and certification, whereas the Hybrid version of this course does not. What differs between the Wilderness First Aid (WFA) and Wilderness First Responder (WFR) courses, and which course should I take? Wilderness First Aid (WFA) training gives you a basic understanding of medical concepts and enables you to perform first aid on people suffering major and minor traumatic injuries, common environmental illnesses, and medical emergencies that occur in a remote areas and wilderness settings. This training is great for weekend warriors taking one- to three-day trips in the wilderness with access to professional medical care and emergency medical services (EMS) transport. The Wilderness First Responder (WFR) course provides advanced wilderness first aid and medical training for those spending weeks to months in the wilderness on expeditions. Lead outdoor educators, military personnel, certified emergency medical technicians (EMTs), and those involved in search and rescue should take the WFR training course. Upon completion of the Wilderness First Aid (WFA) course, do I receive proof of certification? Yes. After you successfully complete the Wilderness First Aid (WFA) course, we present you with a certification card and a WFA patch and sticker. In addition, you or a prospective employer can call or email us at any time to verify your certification. Email your proof of certification request to officeadmin@ncoae.org with “WFA Proof of Certification Request” in the subject line. Please include your full name. If we receive the request via email, we will return proof of certification via email. We can also verify certification over the phone or ship proof of certification to a designated mailing address; call us at (910) 399-8090. Does the Standard Wilderness First Aid (WFA) training course include CPR training and certification? This is optional for ‘custom’ WFA trainings. Open enrollment WFA trainings do not include the Wilderness CPR. If your custom training does opt in for the WCPR, you and everyone on your team will receive CPR training and a two-year certification in Wilderness CPR (WCPR). Our WCPR training follows the guidelines of the American Heart Association (AHA). How long does my Wilderness First Aid (WFA) certification remain active? To get recertified, you must retake the Standard or Hybrid Wilderness First Aid (WFA) training course. We provide no shortcuts to WFA recertification. However, if you are a certified Wilderness EMT (WEMT) or Wilderness First Responder (WFR), you can take the Standard or Hybrid WFA course before your certification expires to become recertified. If you let your certification lapse, you must take the entire WEMT or WFR course again to get recertified. Although recertification is available for Wilderness EMTs and Wilderness First Responders, we strongly suggest you take the full Wilderness EMT or WFR course every six (6) years as a refresher. Can my Wilderness First Aid (WFA) certification be extended? No (and no — no exceptions available). However, assuming we have your email address, you will receive a reminder approximately four months prior to your Wilderness First Aid (WFA) certification’s expiration date, giving you plenty of time to register for and retake the course. Make sure we have your current email address on file. No. Please provide your Wilderness First Aid (WFA) proof of certification, including its expiration date, and we can help you schedule the WFA training course (Standard or Hybrid) required to obtain certification through us. To purchase a new Wilderness First Aid (WFA) certification card, email us at officeadmin@ncoae.org and type “lost card” in the subject line. Please include your full name and mailing address, the date and location of your course, and the name of your WFA instructor. Or call us at (910) 399-8090 and be prepared to supply this information over the phone. This course is traditionally scheduled for three days or 27 hours of instructional and practice time. Upon successful completion, students will receive certification in Wilderness First Aid. Successful WFA certification is based on 100% attendance, passing grades on homework assignments and written quizzes, and learned competence of practical skills. Certifications are valid for three years. Upon expiry, students must retake the WFA course or should consider a Wilderness Advanced First Aid and/or Wilderness First Responder upgrade.